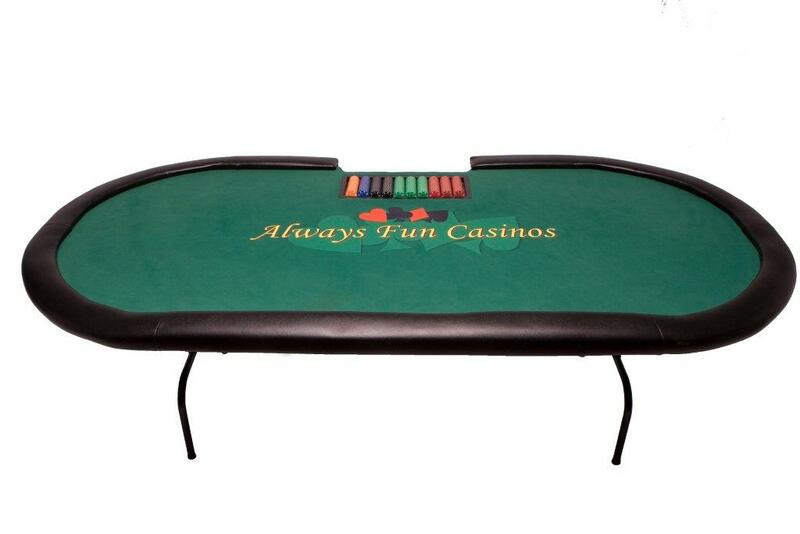 Always Fun Casinos offers regulation size (8' x 4' oval shaped) poker tables with room for 10 players and 1 dealer. These tables are not only great for Texas Hold'em, but also can be used to play Omaha, Pineapple, 7 Stud, or any other casino poker game. Texas Hold'Em has emerged as the favorite poker game because its structure is particularly suited for tournament format that is both exciting to play and watch. Always Fun Casinos are experts at running Texas Hold'Em Tournaments. You provide us with the number of anticipated players and the timeframe in which you plan to play, and we will organize the rest. 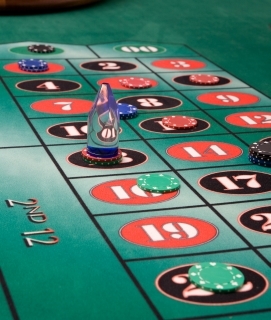 Always Fun Casinos will determine the initial chip count each player will start with, create the "blind schedule", and handle any optional "re-buys" or "add-ons" you desire. No matter what size tournament your have, whether it is one table of 10 players or 20 tables hosting 200 players, Always Fun Casinos will organize a tournament everyone will enjoy. Here is a good and straight forward explanation of the Rules of Texas Hold'em Poker. Understanding the rules is the first step to playing the game. Learning a good strategy for playing the game is a little more difficult. There is no shortage of information on Texas Hold'em Poker strategy. There are plenty of books and entire web sites dedicate to the topic. Here is a good beginners guide to Texas Hold'em Strategy. Standard five-card Poker hands are ranked here in order of strength, from the strongest Poker hand to the weakest. This is the best possible hand in standard five-card Poker. Ace, King, Queen, Jack and 10, all of the same suit. Any five-card sequence in the same suit (e.g. : 8, 9, 10, Jack and Queen of clubs; or 2, 3, 4, 5 and 6 of diamonds). All four cards of the same value (e.g. : 8, 8, 8, 8; or Queen, Queen, Queen, Queen). Three of a kind combined with a pair (e.g. : 10, 10, 10 with 6, 6; or King, King, King with 5, 5). Any five cards of the same suit, but not in sequence (e.g. : 4, 5, 7, 10 and King of spades). Five cards in sequence, but not in the same suit (e.g. : 7 of clubs, 8 of clubs, 9 of diamonds, 10 of spades and Jack of diamonds). Three cards of the same value (e.g. : 3, 3, 3; or Jack, Jack, Jack). Two separate pairs (e.g. : 2, 2, Queen, Queen). Two cards of the same value (e.g. : 7, 7). If a Poker hand contains none of the above combinations, it's valued by the highest card in it.